We are excited you are joining our team! This site is designed to give you guidance on registering for your first courses. You are in a ﻿professional, non-thesis, self-funded master's program. There is no research in this master's degree. Viveka Kudaligma will serve as your advisor for this program and can be reached at kudaliga@illinois.edu. Please review the Professional MCS Planning Document to help guide you on the program requirements. Information about your first-semester enrollment procedures will be included in your Notice of Admission. With increased enrollments in the CS department and on campus, CS courses tend to fill up quickly. We request that all new students follow the directions and register for their first semester as soon as registration is available to them. International students must arrive on campusby the start date listed on your I-20 or DS-2019. To start the registration process, you must first setup your NetID and password. The instructions for this were given to you in your "official offer letter" from the Graduate College. 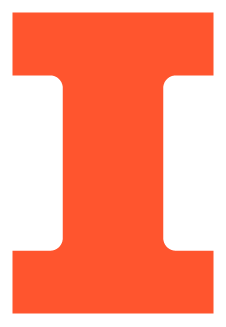 If you missed the link, please go to http://www.grad.illinois.edu/quick-guide. Go to http://www.registrar.illinois.edu/registration/register.html to sign up for classes. To review the courses that will be offered in computer science, please visit CS Courses and select the tab for the appropriate semester. All Professional MCS students are required to register for at least 12 credit hours per semester toward the degree requirements and have up to 3 continuous semesters to complete the degree requirements. For your first semester, we recommend that you select courses that interest you and start to complete the "Breadth Requirement". In addition, we recommend that you do a mix of 400 and 500 level courses. Graduate students are free to register for any 400 or 500-level course. If there is a pre-requisite for a course, it is your responsibility to ensure you have the prior knowledge required for the course. In addition, 400-level courses are introductory graduate level courses and can be taken for either 3 or 4 credits. If you select the 4 credit hour 400-level course, the faculty will usually have you do a project or paper for the extra credit hour. All 500-level courses are taken for 4 credit hours.